Well the birds are singing, the snow has melted (well most of it) and its time to get dirty! 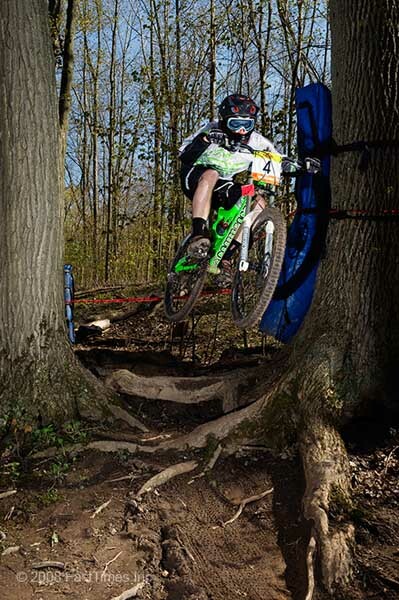 As with every O-Cup DH season we kick it off at Kelso in Milton, Ontario. This time honoured venue is close to the GTA and always has the biggest crowds. Racers are excited to see friends, compare their new bikes and best of all, see who's been training hard in the off season. Super D will make its debut into Ontario this weekend with a course perfect for trail riders, XC and DH racers alike! This fast and flowy course will throw in a rock garden or two, plus a nice climb! This DH years course has a couple new treats with an new rock garden at the top and addition of a new rock garden at the bottom. But you aren't getting off that easy, the famed "rock drop" is back and should provide for a challenging course from top to bottom. Cycle-Solutions.com Bike Store, Lapierre Bikes, Norco Performance Bikes , Kenda Tires, Titec Components, Dropmachine.com, POC Protection, Harveys, Fatlip clothing, Industry Bike park and X-Fusion shocks.